East Coast Kitchen's and Bath's began with the vision of creating a convenient experience for clients without the sacrifice of quality and luxury. 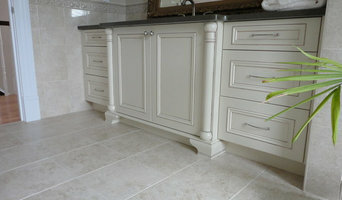 The concept of one-stop shopping for luxury kitchen and bath products is our primary mission. Rather than working with several individual contractors to complete home renovation projects, clients will find every conceivable service and product necessary to create their dream spaces, all under one roof. The unparalleled quality of the products and service available at East Coast Kitchen's is apparent the moment a client walks through the door and views the stunning showroom for the first time. The selection is so diverse, it's difficult to know where to begin. Fortunately our experienced designer is on-hand to assist clients in focus on the direction they wish to go. We are a small company where service is personal and quality products and customer satisfaction are priority. 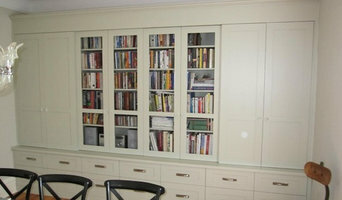 We offer solid custom built kitchens, vanities, closets, mantles, libraries and any other built-ins and countertops . 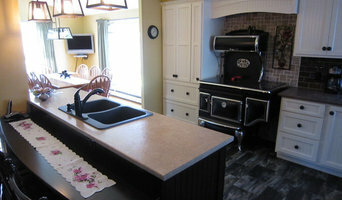 I am glad to help you get your new kitchen layout and design to your likes. So come out to see our showroom or call us out to your home to get started. We prefer to work within a 2 hour radius range but do gladly consider any request within the Atlantic Provinces. This company was founded in 1988 as “Penner and Loewen Furniture” by Mr. Penner and his brother-in-law in an uninsulated garage. But there was not enough work to support 2 families so they parted and each went to his own business. The furniture and kitchen shop continued with success by Penner. But when their family moved east in 1999, I, Edwin Dueck, took over and changed the name to “P & L Furniture”. Because of the high demand for work I discontinued the furniture part in 2007, preferring to keep my company small so I could offer a better service quality. 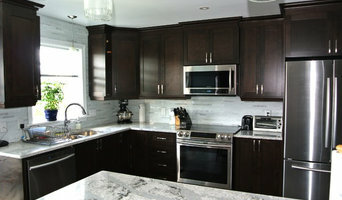 Walls Cabinetry Plus is a local, Mennonite family owned business with over a decade of experience. We specialize in producing customized, solid wood cabinets which are not only aesthetically pleasing, but are also long lasting. We believe your home should fit your lifestyle and should reflect your unique personality. That's why each project is custom designed with the goal of turning your imagination into a reality. Because your satisfaction is important to us, we work closely with you from start to finish, ensuring your final product is exactly the way you envisioned it to be!